We took a little road trip to the east of us to visit friends in their new home in the Prince Edward County area. 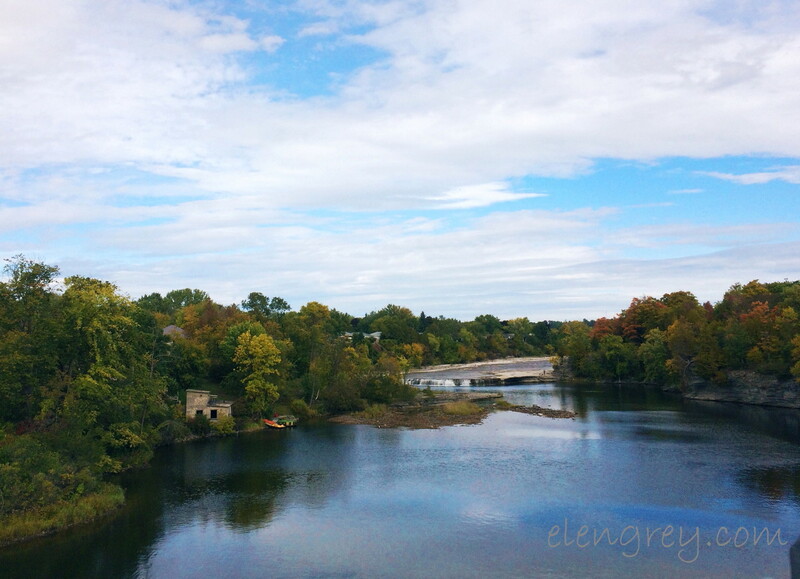 This was taken at Campbellford, Ontario at Ferris Provincial Park. You can traverse a suspension bridge into the park, which I did. Yes. Me. Little Miss Vertigo. And the only reason I attempted it was because the bridge was metal. It stilled swayed and provided a hand-clenching below bridge view. I never looked down. And I might’ve rushed those last few feet. Gracie G-Pup watched her mama from the van. At the park on the other side, I was taking some clicks when a man came out of the woods with a black poodle. He started across the bridge and I started to giggle. That pup did a complete four-paw stop. I was too engaged in the moment to click a video. They struck off and I watched the pup bouncing along on his shoulder as I pondered which would be worse — a night in the woods alone with no gear or making my way back across that bridge. And then I saw the couple with their two lively young sons, probably 4 and 6, make their second trip, and I moved my tail. I was not going to be outdone by two little boys. That would just be the bunny hill all over again. 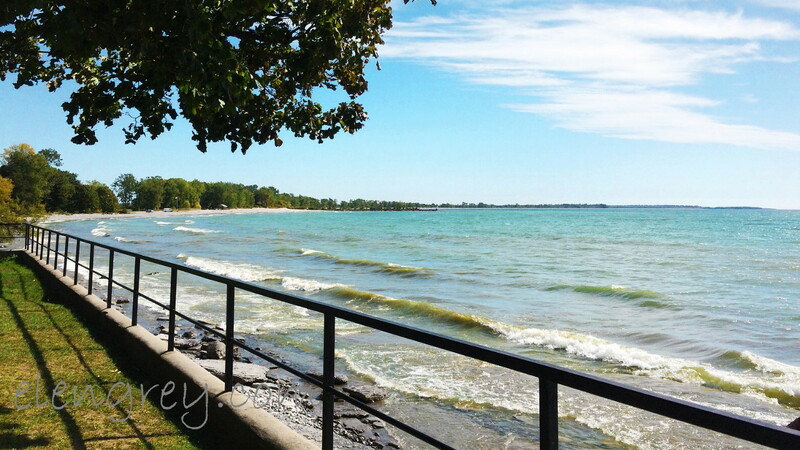 Wellington, Ontario and Lake Ontario intersect in the loveliest way. It’s the perfect rainy, autumnal day in my neck of Canadaland. I can see the little Autumn Blaze Maple that was planted this July at the boulevard from my office window over the garage. I’m rockin’ a pair of jeggings and a purple tee that has Neighborhood Witch plastered across the front (courtesy of the LOLSister) and a long sweater, aka a fanny cloaking device. Getting my pre-Halloween on. When the weather turned, we put the outdoor umbrella away for the season but left the bistro table out on the back patio. It looked lonely, so I moved two big and bright crotons to it and added some pumpkins. I like a good gaze with my morning decaffeine. I looked out this morning and the crotons on that bistro table were shaking like a van on the back corner of a dark parking lot. Next thing I knew, Demon Squirrel popped out in his birthday suit. The fact that he was alone did give me pause. Damn that geriatric squirrel. I want to be mad, but I’m laughing too hard.